The Plug & Sail™ Range offers boat owners a new, versatile textile shackle that is easy to use, effective, fast, universal, lightweight and safe. 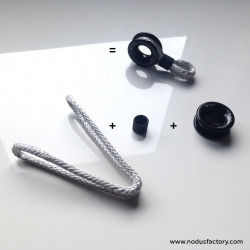 They can be used in almost any sail trimming or hauling manoeuvers, the Block-Loop, Block-Shackle and Block-Ring are essential on board your yacht. The Block® products in the Plug & Sail™ Range can withstand heavy loads and are made of Dyneema® R2 (DSK 78) coupled with simple accessories, quality friction rings by Wichard and our Block® rings, they form a fast and complete attachment system suitable for the mast foot, or on deck plates for adjusting, deviating or hauling any lines. 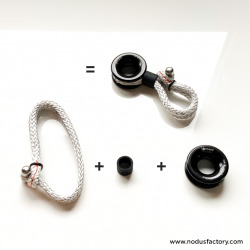 Our High-Load textile shackles and loops, coupled with low-friction rings and our self-locking Block® rings, are just as useful in competitive sailing as leisure sailing and are the basis for versatile and modular textile fittings. 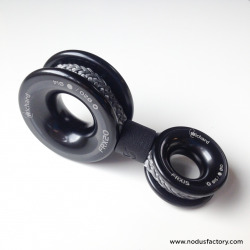 Nodus Factory textile fittings will become a universal model for bpat owners!